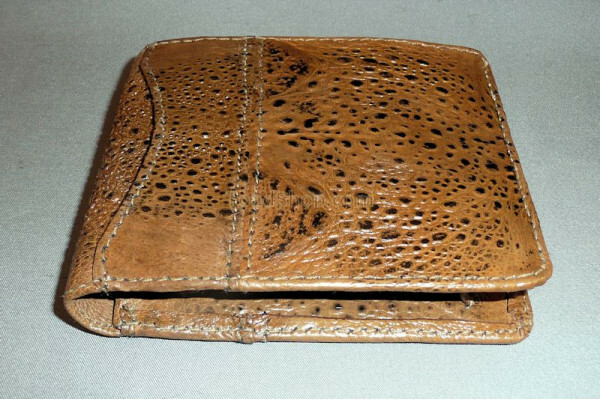 High quality wallet with coin holder made of durable and unique Australian Cane Toad leather. 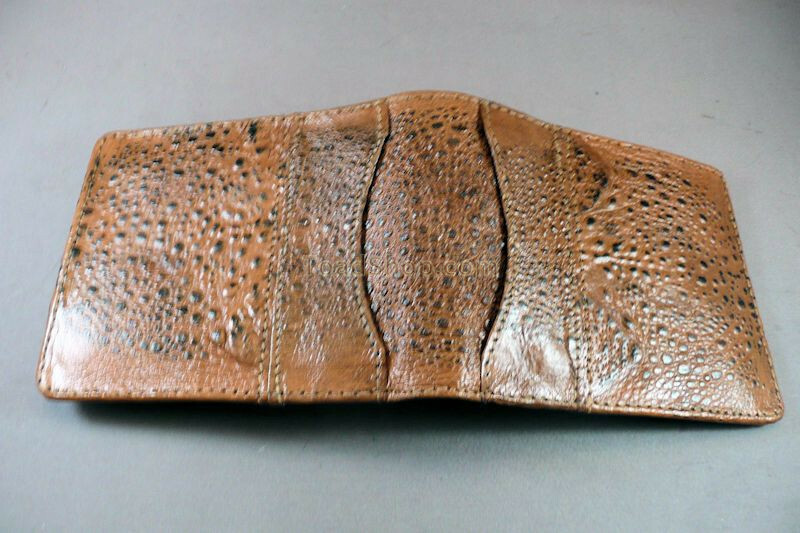 This wallet is made from 100% Australian Cane Toad leather. 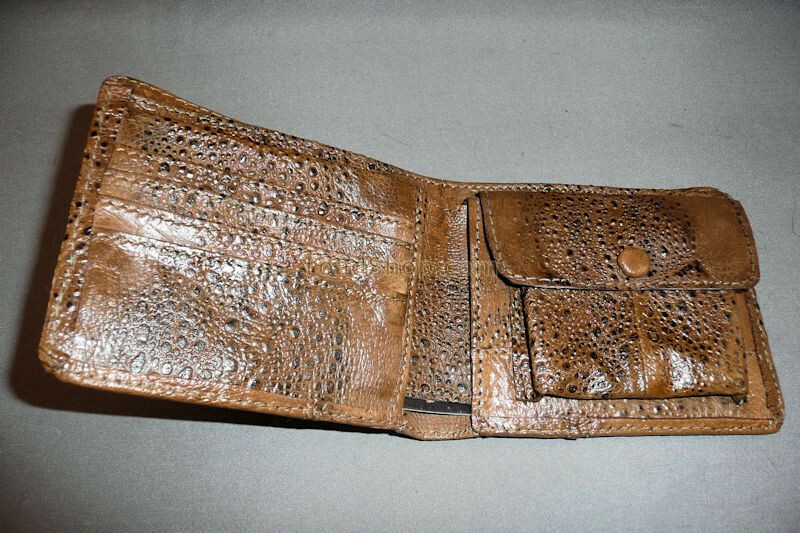 It features a pocket for coins on one side and slots for credit cards on the other. 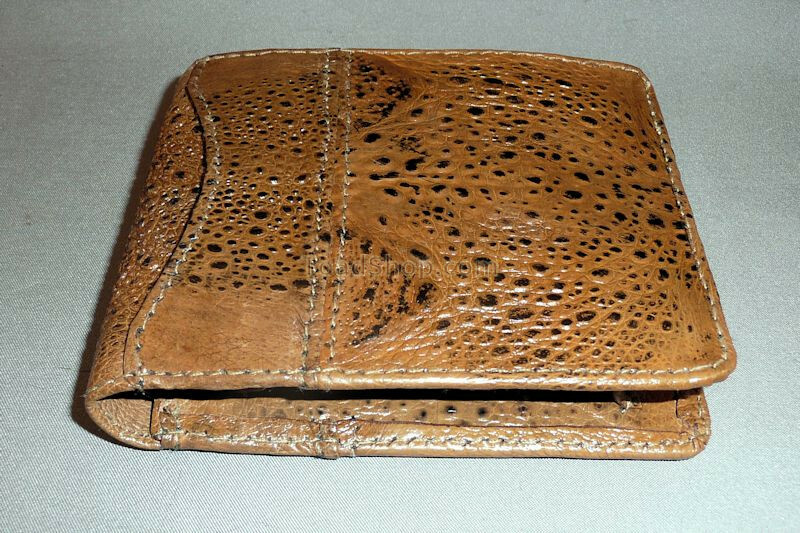 There are also slots for cards on the outside of the wallet as well as two more on the inside of the fold. Finally, there are a total of three large sections for paper currency.